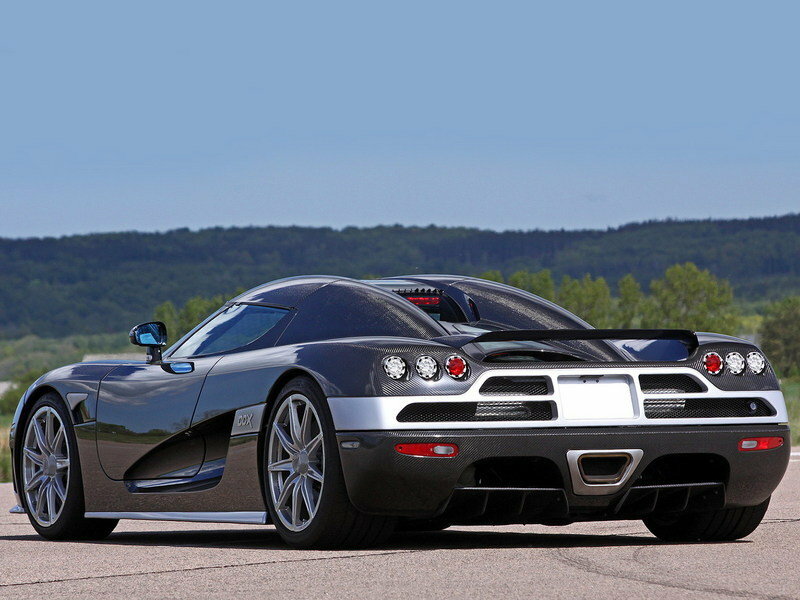 Koenigsegg is no stranger to technological innovation. It comes as no surprise, then, that the Swedish automaker is at the forefront of naked carbon fiber technology, becoming the first automaker in the world to create a car that’s finished entirely out of naked carbon fiber. 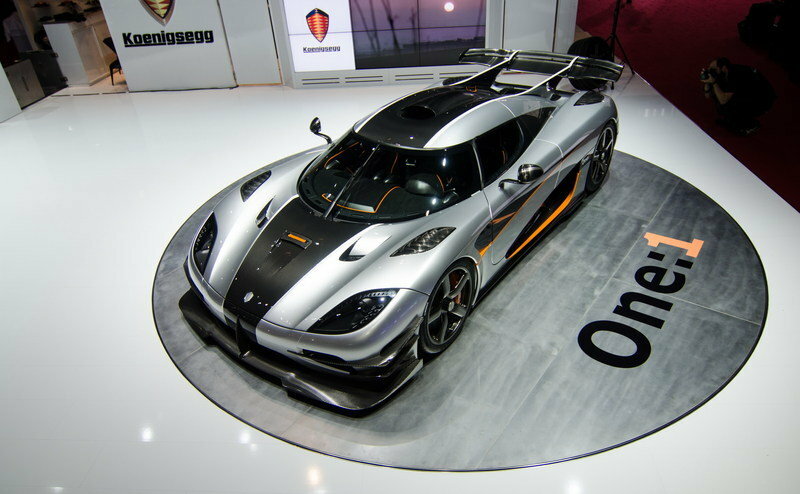 Koenigsegg has even created a name for it: Koenigsegg Naked Carbon, or “KNC” for short. 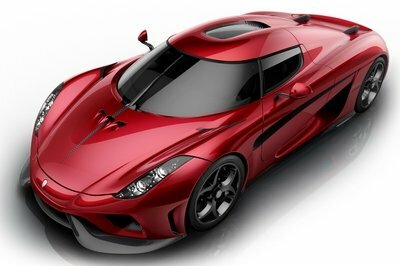 By Koenigsegg’s admission, the process of creating KNC took years to come together. What began as applications on wheels, wings, splitters, and steering wheels has evolved into a full-blown treatment on an entire car, which Koenigsegg calls the KNC Regera. The one-off creation isn’t for sale because someone who lives in Switzerland already owns it. Just when you thought Koenigsegg couldn’t outshine itself anymore, the Swedish automaker raises the bar on what’s possible in the auto industry. The use of naked carbon fiber on a car isn’t entirely new. 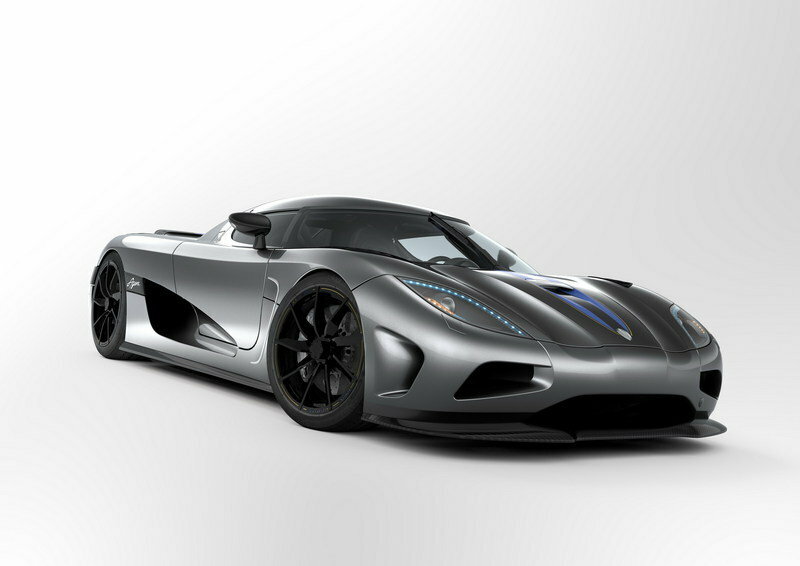 Koenigsegg has used it on its past supercars and hypercars to great effect. 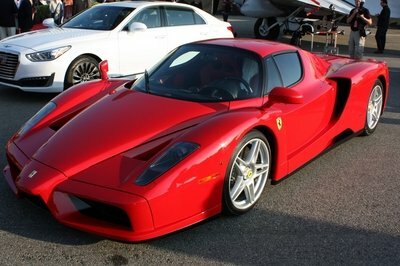 Other supercar brands like Lamborghini and McLaren have also used the material in their own way. 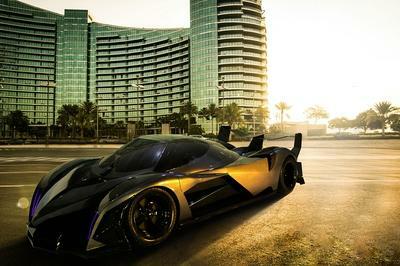 But to create a car that’s finished completely in naked carbon fiber? No one’s done it yet, or at least no one’s attempted to do it. That is until Koenigsegg did it. The process of creating naked carbon is as complicated as it is meticulous. It doesn’t just end by creating carbon fiber, which itself is a process to create in its own right. Carbon fiber is made up of two materials, specifically polyacrylonitrile and rayon or petroleum pitch. These materials are organic polymers, which are characterized by long strings of molecules that are bound together by carbon atoms. These carbon atoms are bonded together in microscopic crystals that are, by and large, aligned parallel to the long axis of the fiber. This alignment is the reason carbon fiber is strong for its size. Extrapolate that to thousands of carbon fibers that are all twisted together and you get a yarn, which can be used by itself or woven into a fabric. Koenigsegg’s naked carbon fiber material is unique in its own right because it involves no lacquer, varnish, or any other kind of alternative casting that’s used on top of the carbon surface. This is where the automaker’s meticulous attention to detail comes into the picture. A high-end autoclaved cured carbon piece normally comes with a thin layer of epoxy to help make the material shine. Well, in Koenigsegg’s version of naked carbon fiber, that layer of epoxy is carefully removed through hand-polishing. This is where it gets really tricky because that process isn’t as easy as it sounds. One stroke too many of the sanding and hand-polishing process ruins the visible weave structure that sits underneath that thin epoxy layer. The smallest of mistakes can ruin the entire part because an imperfect surface cannot be smoothed out or even compensated for on the final body panel. If something goes awry, that part is scrapped completely and Koenigsegg would’ve wasted time, money, and a lot of effort on it. 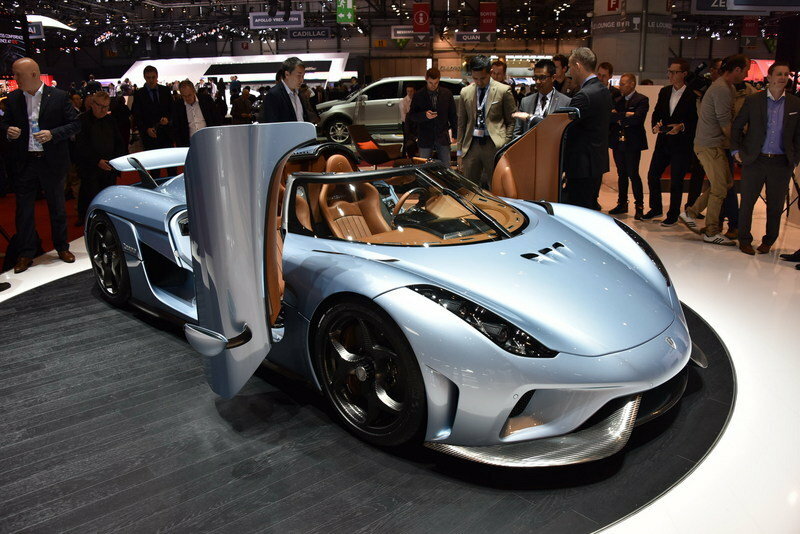 So, you can see why the Koenigsegg KNC Regera is a big deal. It’s more than a big deal, really, because the company takes great lengths to ensure that the process does not have any holes — literally and figuratively — in it. The automaker even exposes samples to the elements, whether its the summer heat or the winter cold. Some parts are even left outside for years to ensure that the elements do not have a negative effect on the surface of the naked carbon parts. All that hard work pays off in the end because the final product offers a different visual carbon fiber look than what we’re used to seeing. Koenigsegg didn’t just use the material on certain parts of the car as it has done in the past. The whole body of the car is made from naked carbon fiber, giving it a more metallic graphite appearance, thanks in large part to the exposed graphite strands that are now clearly visible on KNC Regera’s body. 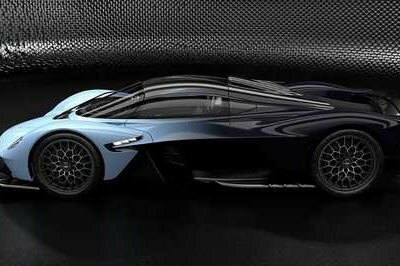 The use of naked carbon fiber on the whole body of the hypercar could also have a positive effect on its performance. Apparently, the absence of paint or clear lacquer on the car’s body shaves off 20 kilos in weight, which converts to about 44 pounds. Don’t sleep on that diet for the KNC Regera because, without the naked carbon fiber body, the 1,500-horsepower and 1,475-pound-foot of torque hypercar is capable of sprinting from 0 to 62 mph in 2.8 seconds, 0 to 124 mph in 6.6 seconds, and 0 to 186 mph in 20 seconds. 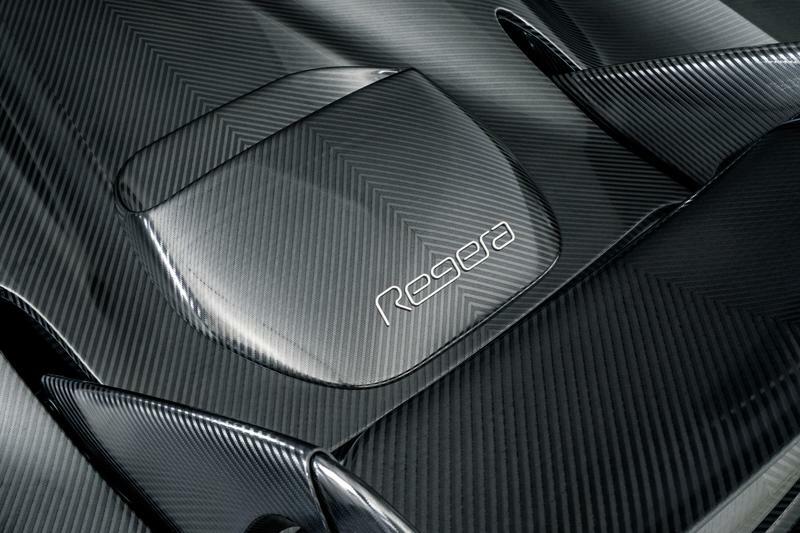 Its top speed is also pegged at over 250 mph, so imagine what kind of performance numbers this one-off Regera is capable of if it weights 20 kilos less than a car that can already break speed records if it wanted to. That’s the price of technology, ladies and gentlemen. Koenigsegg is right at the heart of it.